You want to share your feelings with him. You want to say good morning to him in a way that is special and shows what is in your heart. But it can be hard to put your feelings into words. 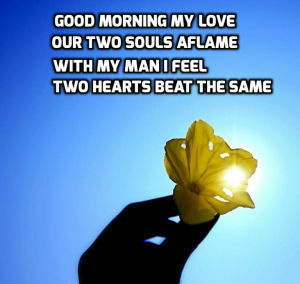 Here you will find romantic good morning poems for him which will help you to express what you feel deep inside. Poems can be some of the most heartfelt and touching messages to help him begin his day feeling loved and appreciated. Other great ways to show him your love: good morning quotes for him or boyfriend quotes. Love is an emotion as old as time itself and people have been writing love poetry for centuries, so there is definitely a good morning poem out there which is perfect for you and will capture in words the emotion inside you that you wish to share with him. If you would like to show him how much you care, then beautiful morning poems that express your love is a great way to start the day! All of our good morning love poems for him are carefully selected as ones which are guaranteed to touch the heart of the man you love. 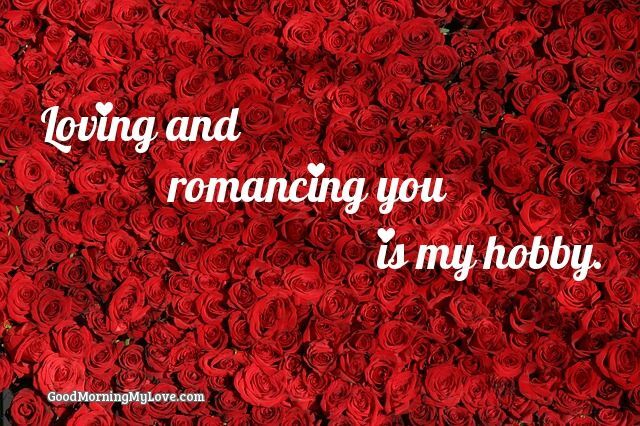 Below you will find many romantic, sweet and cute poems for him perfect for the morning time. These good morning poems for him are divided into short, medium and long. Those without an author’s name are anonymous. Short and sweet love poems are a great way to start his morning off feeling loved and important! We hope you and your man enjoy these good morning short love poems for him. You may also be interested in our love quotes for him. And thanks to you my love, my heart has been freed. Here you will find romantic and loving poems perfect for showing him how much you love him and helping him get a kick-start on the day. Not too long, but not too short, these make the perfect good morning poems for lovers and partners. When I close my eyes, it is you that I see. Yet without you, every single day there is a hole in my heart. Every single moment since then, I long to be with you again. I carry you with me right in my heart. Together for always and never apart. 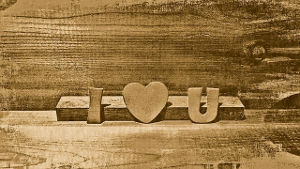 Love is the most wondrous emotion and sometimes it’s nice to simply dwell on the feeling, to extend it and draw it out. This is why many people prefer longer romantic love poems for their man. Good morning, Good morning my Love. for the rest of our loving days….? ? You are my sunrise that glimmers so bright. You are completely my everything. You are all I need to never feel lonely. But right now all I know is I will always want you. Please hold my hand for the rest of our life. Here are some of the best deep, long and romantic love poems for him from the heart. If you are looking for love poems for your boyfriend that will make him cry (or your husband) and truly touch his heart, then these should do the trick. 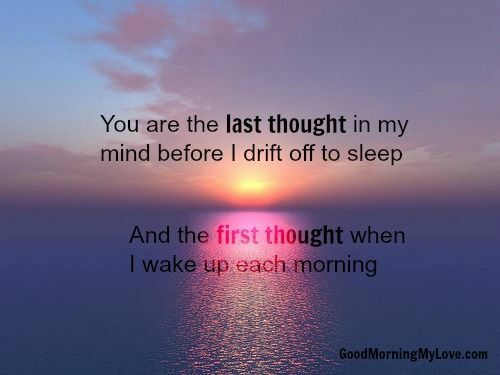 Though these I love you poems for him could be used in the morning, they are suitable for any moment you want to make romantic and loving. Do you miss him? Are you longing to be with him again? 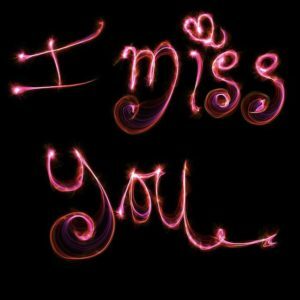 Use these short I miss you poems for him from the heart and let him know how badly you wish to be with him right now. 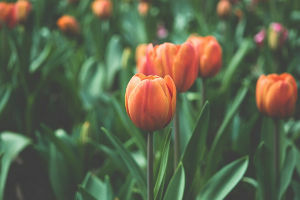 When choosing some I love you poems for him, as always, we recommend that you select some that really speak to you and feel like accurate representations of your true feelings. The length is not necessarily the most important part. Whether they are long or short I love you poems for him is less important that if they feel “true” for you. Throughout this article are many suitable I love you so much poems for him, but below are a couple of our favorites. Even more than you could even feel. Many people search for cute poems for him in the hopes that he will look at you and see you as more cute. This is understandable, who doesn’t want to be looked at in that way? But we recommend that instead of trying to find cute love poems for him, find poems for him that feel like they accurately reflect your true feelings. After all, nothing looks cuter in a man’s eyes than just being your natural self. Many men will attest that the thing they find to be the cutest and sexiest is when a woman is just being herself, when she is being real. 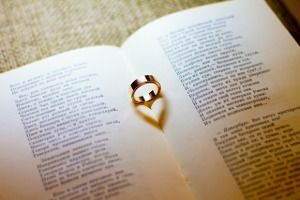 Along the same lines, when searching for romantic poems for him, many people are looking for profound and powerful love poems for your boyfriend that will make him cry. While understandable, remember that most men do not feel comfortable expressing their emotions in such a way. Remember, it is usually women who crave romance more so than men. Not that men never crave romance, but in general, they do so much less than woman. We’re not saying that you shouldn’t choose romantic poems for him to make him cry, but if your goal is greater connection, closeness and romance, we recommend you choose poems that will help him to understand how wonderful you feel he is. Men often feel a greater sense of closeness when a woman highlights for him why she thinks he is so amazing. So, the most romantic poems for him are often those that simply let a man know how great you think he is. We sincerely hope that you enjoyed reading and sharing these poems about love for him. While these love poems for him are specifically designed for the morning time, many would be perfect all throughout the day and on lots of different occasions. The powerful emotion of love compels us to express it and make sure that our partner can see how deeply we care for them. So, throughout human history, people have turned to romantic poems for him to do just that. And because love is so profound, it can be tough to find the perfect words. The love poem is a unique and beautiful way to express love, one that is unique in human civilization. There is a magic and a flow to love poetry that is able to touch the heart in a way that most speech cannot. We hope that you were able to find just the right words and the perfect love poem for him to represent what is in your heart. Whether you came here looking for sweet poems for him for the morning, love poems for husbands or a boyfriend, cute poems for him or any other type of poem for a man you love, it is our wish that you found the right words to touch his soul and make him smile. Send these love messages to someone you love and brighten their day! 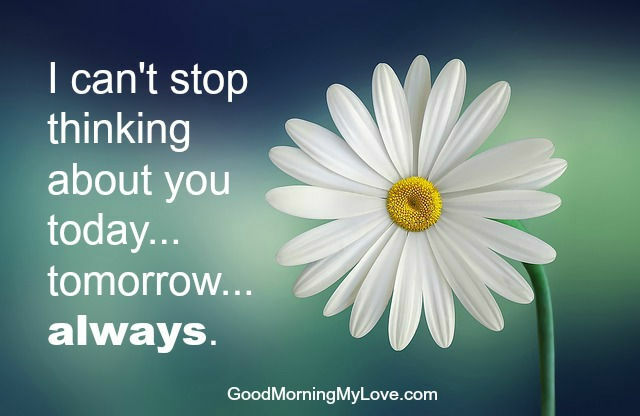 Looking instead for husband or boyfriend quotes, then check out these love quotes for him from the heart or good morning quotes for him? If you enjoyed these, please share them! Every bit helps. 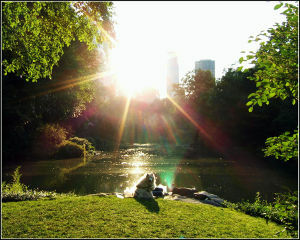 © goodmorningmylove.com. All rights reserved.